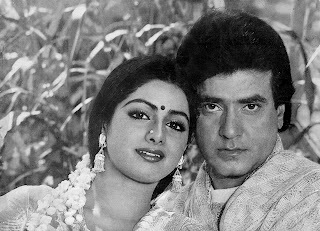 Jeetendra and Sridevi were the definitive screen pair of the 1980s, who starred in a number of Hindi films of... well, to be honest, variable quality. So many light and fluffy flicks, the duo didn't garner much critical acclaim in their joint films (if any!). Reflective of a cinematic era filled with joie-de-vivre, an insouciance and innocence (naivete! ), its a dubious decade tinged with technicolor dreams. Movies were churned out, the melodrama and musicals were fun and frothy, and as the box-office records show, it clearly entertained the masses, if not a single critic. As the myriad images here show, it was a colourful era! 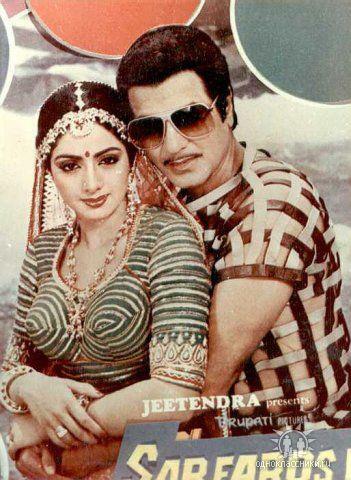 And despite the near 20-year age gap between Jeetendra and Sridevi, the pair looked great on screen. 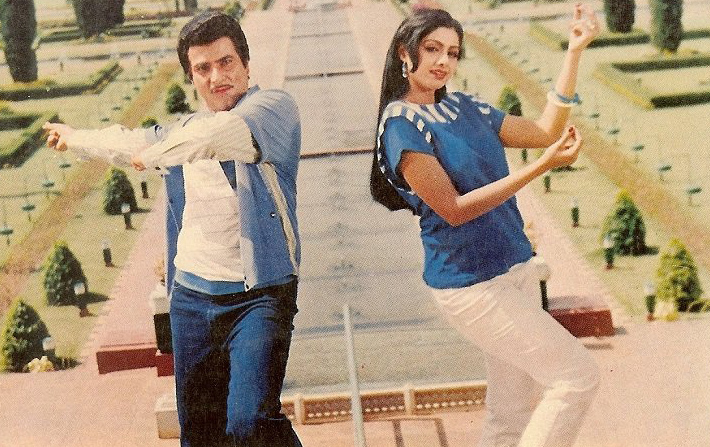 Also needs to be noted, Jeetendra stayed in shape throughout the years to match steps with his ever-increasingly younger co-stars. In fact, at 70+, bless his socks, he's fitter than his contemporaries and many of his juniors till date. At a recent party, when Sridevi and Jeetendra greeted each other, guests looked back and snapped innumerable pics as it was a reunion filled with nostalgia and joy. 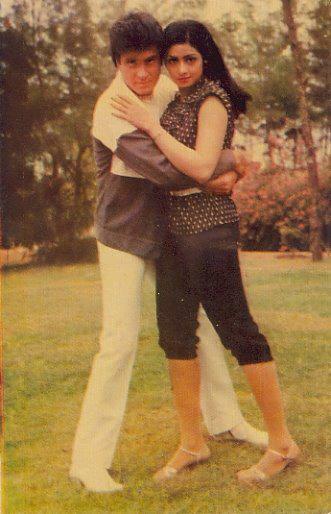 Sridevi; well, she was a Goddess then, she's a Goddess now! More polished and refined, be it her performance or look, she's aged (well, she sort of stopped aging) remarkably well.